Operatives of the Lagos Police Command have arrested one Kabiru Oke, and his son, Faruq, for allegedly r*ping and impregnating the daughter of the sister to Kabiru’s wife in the Egbeda area of the state. 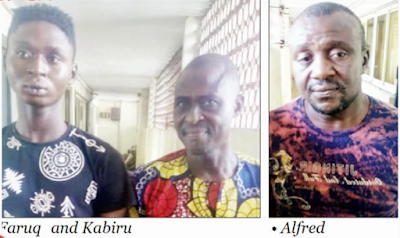 The suspects were alleged to have taken advantage of the fact that the girl lived with them by having carnal knowledge of her and threatened to kill her if she revealed the act to anyone. “The victim has lived with the perpetrators for a couple of years. The unholy affair between the minor and the first suspect started on Saturday, October 20, 2018, with the suspect having constant s*xual inter-course with the victim. The second suspect, being the son of the first suspect, started having unlawful carnal knowledge of the same minor on Thursday, January 10, 2019. The suspects had constantly threatened to kill the victim if she ever told anyone about the affairs. Elkana said whenever the victim was coming back from school, Alfred usually lured her into his shop to have s*x with her. The PPRO stated that Alfred usually gave the victim some drugs after s*x to prevent her from getting pregnant, adding that in his statement to the police, the suspect revealed that he turned the victim into his s*x partner after he divorced from his wife in May 2018. He said, “The matter was reported to our Gender Unit by the mother of the victim. The complainant stated that they live on the same street with the suspect and that the suspect usually called the victim into his shop while on her way back from school along Iyana Ejigbo Road, Lagos, were he sells Nigerian home videos, and have unlawful s*xual inter-course with her in the shop. “The crime began in May 2018 up to Wednesday, March 27, 2019. The suspect, in his statement to the police, said that he turned the victim into his s*x partner after he divorced his wife in May 2018. 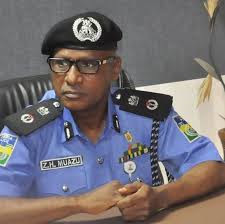 The matter was discovered on Saturday, March 27, 2019, around 2pm, by the victim’s grandmother, who perceived some odour on the body of the victim, when she returned home, and subjected her to questioning.